RealNetworks has this week released an Android version of their RealPlayer, which has been designed to provide you with an “all-in-one” media player, capable of handling your music, video and photographs. The RealPlayer Android app has been created with an intuitive user interface, together with support of high resolution devices, and the ability to share on popular social media sites. Watch the video after the jump to see the Android RealPlayer in action. 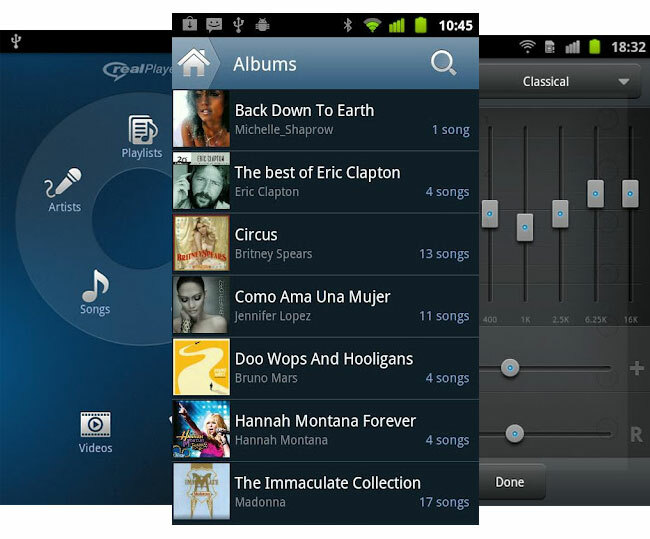 Other features of the new Android RealPlayer application include widgets, equaliser, lastFM scrobbling, as well as metadata editing. Together with the ability to move the RealPlayer application to an SD card if required. The Android RealPlayer app also supports 9 languages, and is now available to download from the Play Store for free, requiring Android 2.1 and higher to work.